Rtic has been lurking horns with the Yeti for the cooler world supremacy. And if we’d personify the whole rivalry – it will be the Samsung vs iPhone? Well, I’d say Rtic coolers are Samsung and Yeti the iPhone. 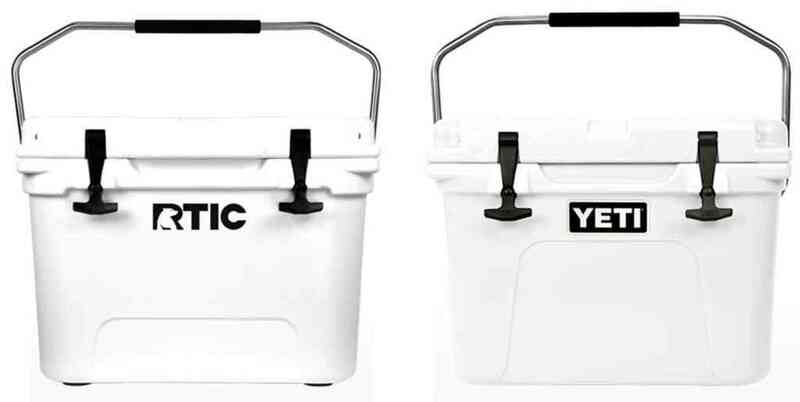 So that I don’t sound bias in any way, I’d like point out that Yeti filed a lawsuit against Rtic for design infringement of their drinkwares, and coolers both ( hard-sided and soft-sided). The company were forced to discontinue similar Yeti look alike. And that was similar to the iPhone and Samsung saga. Don’t get me wrong here: I’m not on any side but the side. Both chests are excellent at some specific function. Stick around to the end before drawing to a conclusion. 4 RTIC VS YETI – So Which is Better? 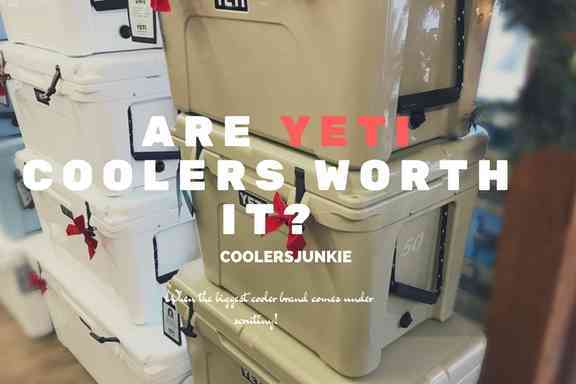 Yeti doesn’t disclose its actual cooler size, why? For marketing reasons. You can check out Yeti actual sizes here. But in this review, we’d make use of the actual capacities. How about that? The RTIC 20 has the same capacity as the Yeti. Both are rotomolded built. However, the RTIC weighing 17.5 lbs tends to be heavier than Yeti weighs 15lbs. Despite having the same quart size – the RTIC holds 24 cans while the Roadie comes short at 14 cans. Well, concerning ice retention, some reviews have reported up to 4 days of ice retention using either the RTIC or Yeti. However, the ice retention range may vary in real life situations. The Rtic 45 has almost the same built as the Rtic 20. The size seems to be the biggest difference between the two lads. Rtic 45 has an increased ice performance – according to most reviews, you should expect nothing less than 5 ½ days of ice, while the Yeti 45 can give up to 5 days of ice, Rtic is the clear winner in the ice category. Unlike Yeti, RTIC uses a quart as the measure of their cooler capacities. The RTIC 45 has a 45 quarts capacity, so the Yeti 45 is 45 quarts? No! It’s 37 quarts. This means the Rtic is slightly bigger than the Tundra 45. The RTIC 45 weighs 25 lbs, and the Tundra 45 weighs 23 lbs. Considering the specs, it’ll be right to say RTIC coolers are heavier than Yeti. Of course, both ice chests are Rotomolded. This is one of the largest Rotomolded coolers in the Rtic ranks. With a 13 pounds ice capacity, the Rtic 65 is larger than the Tundra 65. You may get confused why the Rtic cooler and Tundra 65 have the same name size, but the former tends to be bigger? 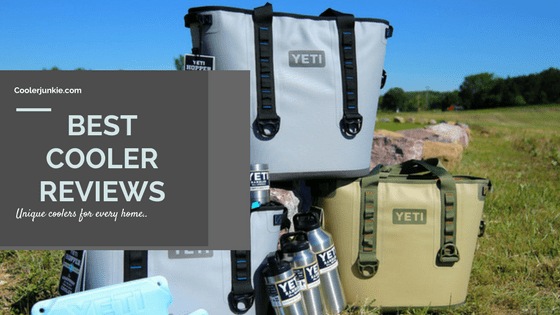 You can read more about Yeti cooler sizes here. The ice life is slightly better as users have reported a 8 days of ice. Believe it or not, Rtic and Yeti soft-sides are undoubtedly the envy of all soft-sided coolers on the market. 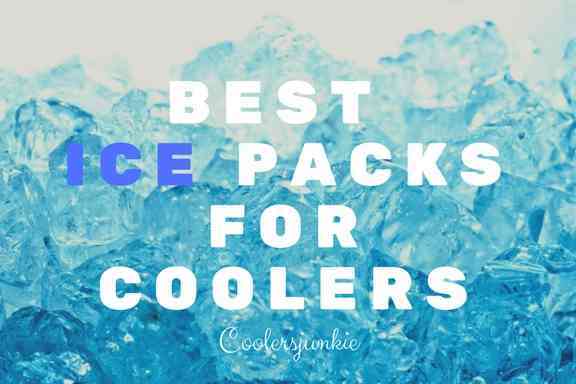 Although both soft packs are known for their ice retention, they can’t replace rotomolded coolers. For personal and short use, soft-sides provide more portability and mobility. 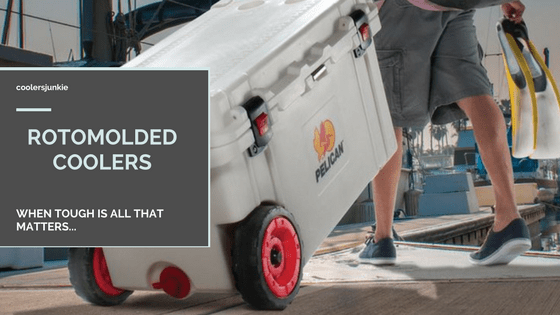 Aside that, if you need large capacity, ice retention and long-lasting build – Rotomolded coolers are the way to go. Shape: Rtic has a cube-shaped design with a flip lid for all the soft coolers in their ranks. On the other hand, Yeti hopper has a slim handbag shape with the zippers replacing the lid. Carry Options: The Hopper features side handles and a shoulder strap, while the Rtic soft sides have two straps ( on the side and in the front which allows being picked up like a handbag). 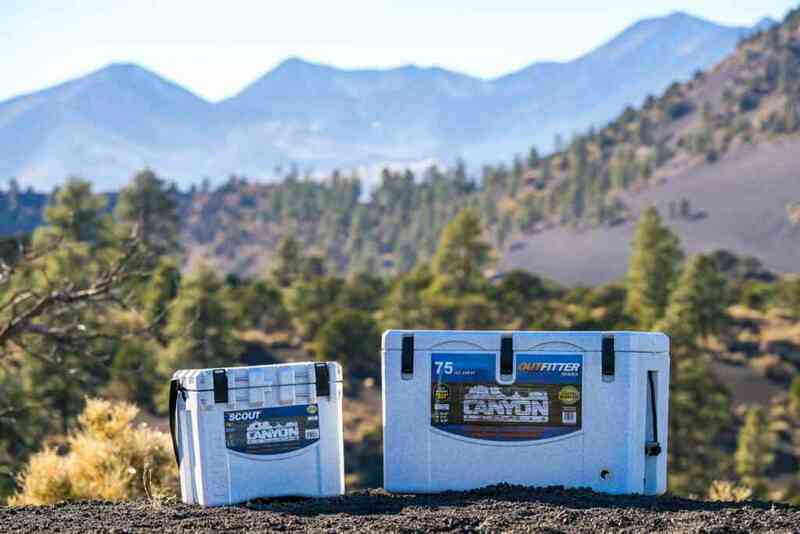 Small things come in big packages, and this statement holds true soft-sided coolers on the Rtic and Yeti product line. The Hopper 20 and Softpak 20 utilize a hard shell material on the exterior; the result is a non-sweating and puncture resistant cooler bag. Unlike other soft bags, this one’s won’t give in to tears. Talking about capacity, the softpak 20 can hold up to 20 cans, while Yeti sits with a deficient of two (18). Everything is pretty much the same except for the lid closure type – the Hopper utilize a zipper, while the Rtic has a flip-lid. The capacity of mid-range Yeti and Rtic soft-sides have a bump in size capacity. As you’d expect the Rtic has more cans capacity at 30, while the Yeti hopper can hold up to 24. However, both coolers will have the same ice capacity at 30 pounds. The RTIC ice chests come in different shapes and sizes. With hard-sided and soft-sided coolers on their sleeves, users will have a lot of alternatives for every outing. There’s much more than meets the eye with this two. To get a clear picture of their strengths and weaknesses, we’d make a comparison of similar products from each brand juxtaposed in a review. The RTIC 20 is the smallest cooler in the bunch. Considering the compact size, it’s excellent as a personal cooler. For users that are curious to know the actual size in quarts – the RTIC 20 is 22 quarts and can store up to 24 cans and ice. Besides, it weighs 17.5 lbs and also holds up 25 pounds of ice and 5.5 gallons. Rotationally build to stand harsh environments, it includes 3 inches of insulation walls, meaning not only is protection guaranteed but ice retention as well. The manufacturers boast of 10 days of ice; however, some reviews have revealed 4 days in real life situations. As I’ve mentioned above, the cooler is small, hence limits the space to store drinks, beverage, and food. But It’s an excellent companion for fishing, kayaking, picnic, tailgating and much more. If I’m not mistaken, the Rtic 45 is the most popular choice based on reviews. Again, with the same features as the Rtic 20, the cooler provides more storage space for items. The Rtic 45 is engineered to be stronger than most coolers; the lid is hard and integrates a bench/cutting board. Although the ice chest is a bit bigger, it will fit in perfectly into small spaces and various activities; fishing, tailgating, kayaking – name it. Just weighing 25 pounds when empty, it’s a breeze to carry the cooler. It can hold up to 36 cans and 40 pounds of ice. We are getting to the large coolers category and trust me; it can only get better. If you want to go for that big hunt, fishing or camping, This 65 quarts cooler will cater all your needs. Also, it holds up to 64 cans and enough space for ice. The RTIC 65 weighs 36 lbs which makes it a bit easy for an individual to carry it around. However, if you don’t lift weights, you may need a hand to raise it. Sure this cooler is for the populace, people going for extended trips will like this large chest. 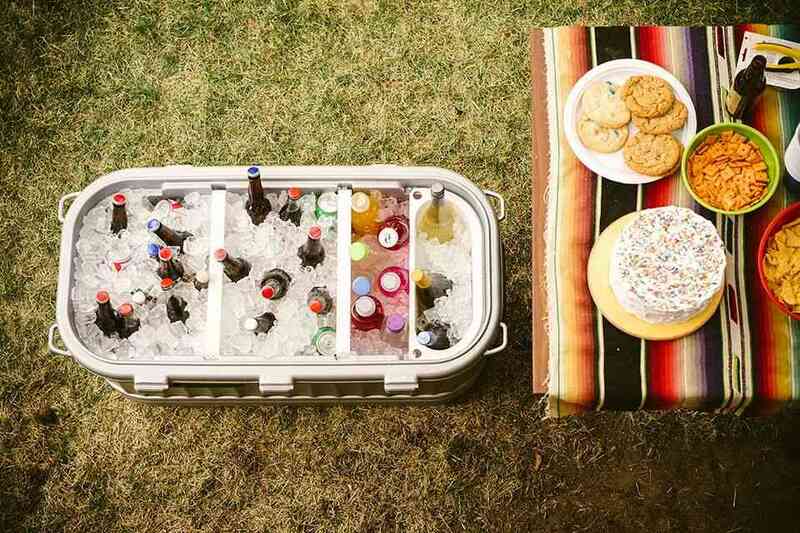 A giant cooler is ideal for anything from an extended camping trip to fishing and tailgating. The RTIC 110 is well suited to hold substantial amount of drinks and will have plenty of storage space for your lunch, snacks, and beverage. Quite gigantic, this 110 quarts chest can hold up to 110 cans. If you want to fill it with ice, you will be able to stash in 115 pounds of ice, While the whole size can take up to 27.5 gallons. 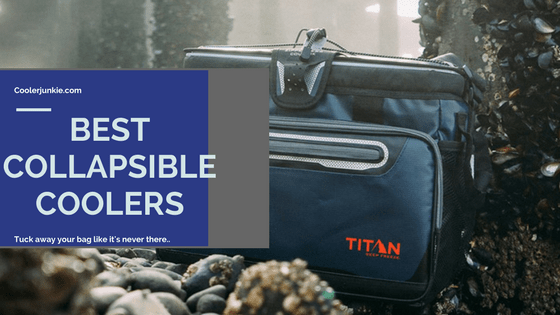 If your trip is for a week or more, we recommend the RTIC 145 cooler. In space and ice retention, this ice chest is up to the task. With a 145 quarts capacity, you can store 145 cans. When empty – the cooler holds 155 pounds of ice and 36.25 gallons respectively. Despite the size, this cooler can hold ice for a week. Weighing in at 59.5 lbs, you can’t lift the cooler alone unless you get a helping hand. However, for those of you that built in the gym, it will be easy as pie to carry the cooler but you’ll lack the convenience to hold on to it for long. Rotomolded Construction: People often ask what is rotomolded? This is the process of using thermoplastic materials to create a solid shape that can stand up to abuse and retain ice for extended periods. Although popularized by Yeti, companies like RTIC, ORCA, ENGEL and many others have picked up the technology. Now RTIC hard-sided coolers utilize the rotomolded construction to make it indestructible. The Thick insulated walls enable RTIC icebox to keep ice for extended periods. RTIC coolers are tested by the Interagency Grizzly bear committee (IGBC) and are certified as grizzly bear resistant after passing real-life grizzly tests. 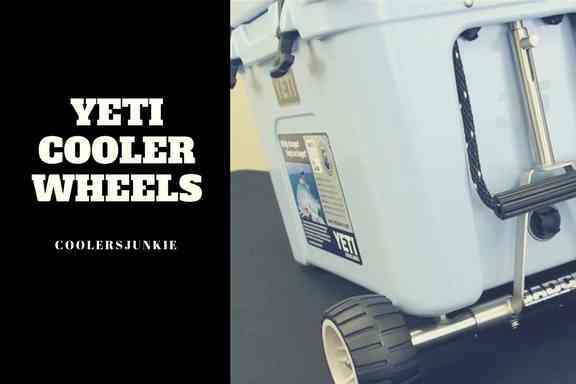 The hard-sided coolers from Yeti are built to keep out grizzly animals. Thanks to the security holes, you can use a padlock to lock to lock the chest. Not only do RTIC hard side keep out bears but intruders as well. A lot of work goes to the T-latches. The result is a latch which hugs well to the cooler, sealing the space between the lid and base for improved cooling performance. If you are tired of busted latches, the T-latches provide a respite as it built with quality materials for lasting use. Latches often burst open, well, the T-latches is built to last for a long time. Molded tie sown slots secure your ice chest to the boat, or on any surface. Ride the waves without the fear of the RTIC failing off. To prevent your cooler from sliding off its kept position, it incorporates non-slip feet. Unlike most soft-sided options, the RTIC utilize a no sweat design. This means even if you fill the cooler with ice, there’ll be none of that annoying sweat drips to form a puddle on the floor. Freezer grade gasket is used in the lid. Rest assured, the grade blocks out the heat and the cold stays in. Another important function the freezer grade gasket offers is a tight seal. Even if the cooler is filled with water, the grade seals the base of the lid to prevent spills. Users have the two options to choose from: A padded molded in handles or a rope handles. The rope handle means there’s no breaking the handles on the RTIC. Also, both handle options have textured grips and users won’t find it slippery to hold on to. Draining water has never been easier. These coolers are equipped with drain plugs that purge water entirely; thus, increasing the ice period. The hinges of the cooler anchors the lid to the body. Now that’s what the no-fail hinges do. The hinges are constructed for lasting use. There’s no dulling moment unbreakable hinges. Wheels – The bigger the cooler, the harder it is to carry. So what’s the solution? Simple, wheels. 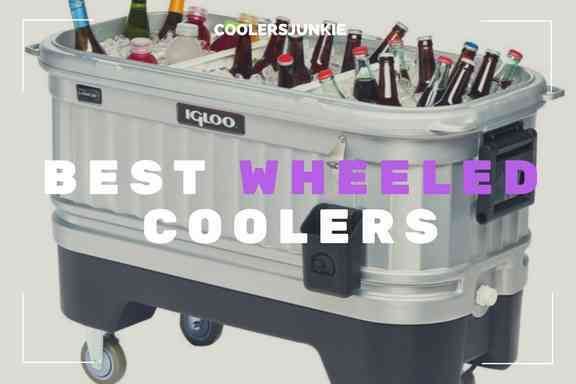 Yes, wheels provide ease of transportation especially when the cooler is filled up. More quart sizes – There are limited quart sizes in RTIC’s collection. Ranging from 20, 45, 65, 110, 145 quarts, the size options aren’t many. Although this point might be subjective, most reviews have seen people ask for more RTIC cooler sizes. As you can see from the reviews above. Aside from the Roadie 20 and Rtic 20 coming in as ties, Rtic comes on top of Yeti concerning ice life. However, both of these coolers are exceptional at holding ice for the best possible time. Sure, you can count on the ice life. RTIC quart size corresponds with the name. But Yeti doesn’t publicly reveal their quart size. Comparing both ice chests side by side, Rtic fits the quart size, while the Yeti is slightly less than its prescribed name size. Rtic is cheaper than Yeti. As they say “overbuilt, not overpriced” the subliminal dig at Yeti shows Rtic is in the market to contend with the biggest cooler brand. RTIC VS YETI – So Which is Better? Rtic coolers vs Yeti, Who takes it? In terms of price and value, Rtic is slightly better than Yeti. 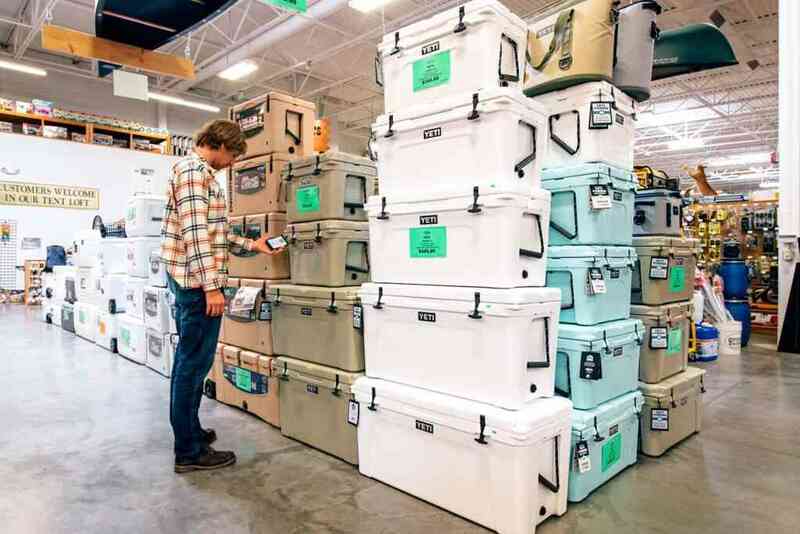 However,It depends on what you like – Sure, Rtic provides coolers almost half the price Yeti costs, and it has edged (Yeti) in capacity and ice life. The latter has unique ice chests with great features and a large enthusiastic fan-base.